Airtel is examining the option of a rights issue to existing shareholders or a private placement to institutional investors and promoters. 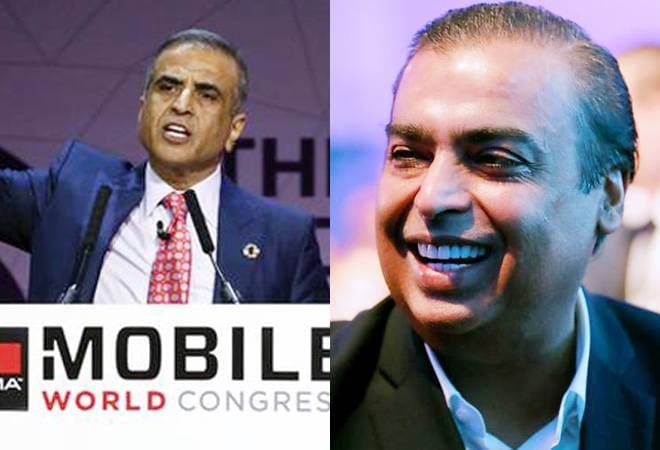 With Mukesh Ambani's Reliance Jio Infocomm continuing to gain strength in a majority of telecom circles during the September quarter with its disruptive pricing, rival Bharti Airtel has upped the ante on building its war chest. The Sunil Mittal company plans to raise Rs 12,000-15,000 crore through issue of fresh shares in the current fiscal, The Economic Times reported. Sources told the daily that Airtel is examining the option of a rights issue to existing shareholders or a private placement to institutional investors and promoters. This is reportedly a part of its strategy to build a war chest of about Rs 30,000 crore in three tranches to meet its capital expenditure - earlier this year the company had pegged capex at Rs 24,000-26,000 crore for FY19 - and bolster cash flows. However, the bulk of the proceeds will be used to repay debt and bring down borrowing costs. The telco reportedly boasts net consolidated debt of Rs 1.14 lakh crore, of which the Indian operations' borrowings amount to about Rs 80,000 crore, including outstanding spectrum payments of nearly Rs 46,000 crore. Meanwhile, on Monday, Bharti Airtel's Africa business arm announced the appointment of eight global banks to work on its initial public offer (IPO) plan. "Airtel Africa Limited Monday announced the appointment of global banks for an intended IPO on an international stock exchange. The banks appointed are JP Morgan, Citigroup, BofA Merrill Lynch, Absa Group Limited, Barclays Bank PLC, BNP Paribas, Goldman Sachs International and Standard Bank Group," the telco said in a statement. The development follows the recent subscription of shares - at an enterprise value of $9.4 billion - in Airtel Africa by six leading investors, including Warburg Pincus, Temasek, Singtel and SoftBank Group International, for an aggregate consideration of $1.25 billion. The company plans to utilise this fund to lower debt of its Africa unit which stands at around $5 billion. "By financial year 2020, the group's debt is expected to come down significantly, with the international business having residual debt of about $2.5 billion (approximately Rs 17,500 crore)," a source told the daily. The third round of fundraising will reportedly be done through equity dilution in Bharti Infratel. In April, Airtel's tower subsidiary announced a merger with Indus Towers to create one of the world's largest tower companies that will be jointly controlled by Airtel and Vodafone. Airtel's stake in the combined entity, which will boast over 163,000 towers across India, is expected to be around 33.8-37.2%. The sources added that depending on market conditions, Airtel will dilute its stake in the tower business in the latter half of 2019.